Planning Tattoo? Try These Beautiful Butterfly Tattoos. Butterfly Tattoos – Give wings to your style and choice with fantastic butterfly tattoo designs! These tattoos look very natural and expressive. 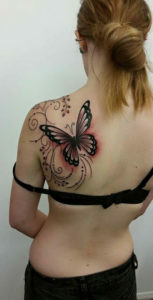 Moreover, the butterfly tattoos can be applied suitably to neck, arms, shoulders and waist too. 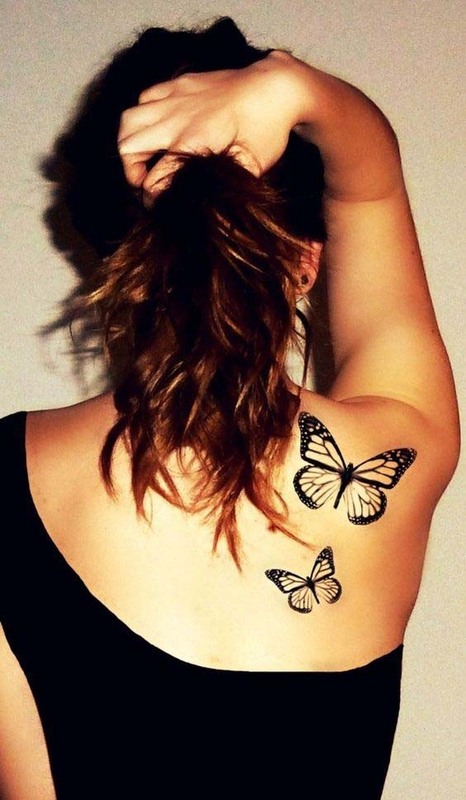 So why not pick a tattoo from the list of 15 butterfly tattoos given below and make your fashion statement! 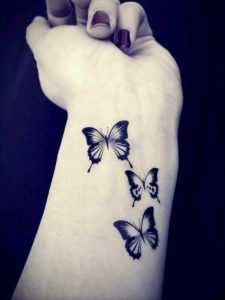 Butterfly tattoos, like angel tattoos, have now become a style statement. 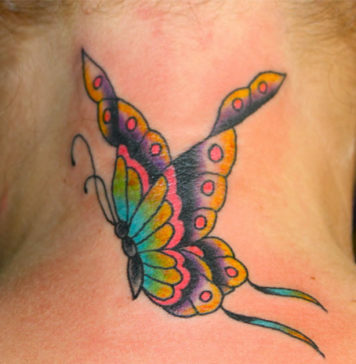 Get a bold and beautiful tattoo of a butterfly on the upper back area of any of your shoulders. These butterfly tattoo designs make you feel closer to nature. 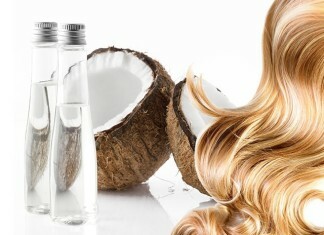 Also, the availability of these designs in a wide variety makes them a popular choice across the globe. This tattoo is a cute combination of two butterflies. 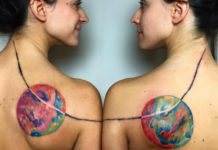 A mini image along with a big image provides a pleasing look of a tattoo. Try this tattoo with a single shoulder dress and tie your hair in a neat ponytail to complete the look. 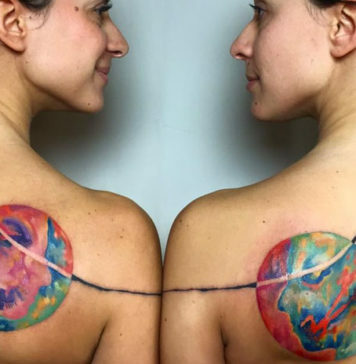 If you want a more colorful look in your tattoo design, try this awesome tattoo! 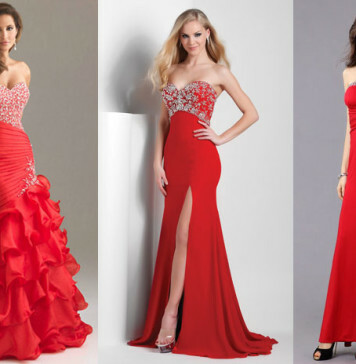 It has got an excellent combination of three vibrant colors – red, black and blue. The butterfly tattoo designs are mostly preferred by women as these cute creatures represent delicacy and beauty. Get a new look with this excellent butterfly tattoo design! It shows two butterflies with two different poses. You can clearly observe one flying butterfly and another in a sitting pose. 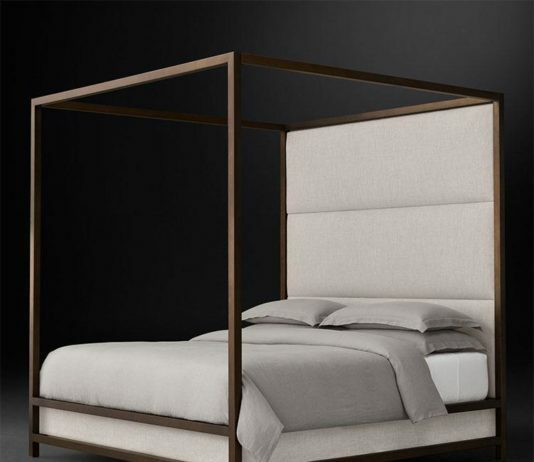 An addition of colors in this design further accentuates the whole look. A tattoo design clearly depicts a person’s attitude, choice, and traits. 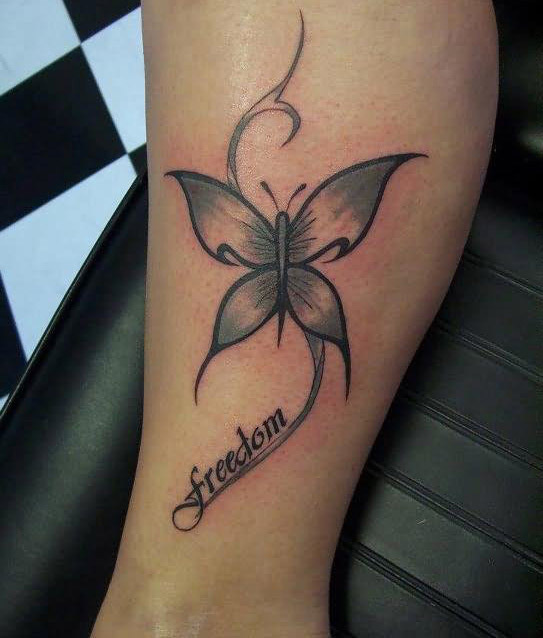 This design shows the word ‘freedom’ in it along with a beautiful shaded butterfly. The tattoo indicates that its owner loves being independent and free. You can also choose words like ‘peace’, ‘love’ etc. 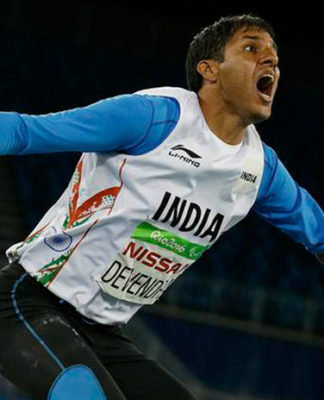 that show your belief in these feelings. You will come across many beautiful butterfly tattoos that can be applied on the wrist area. Just take a look at this set of three cute butterflies. The design looks pleasing and sober. 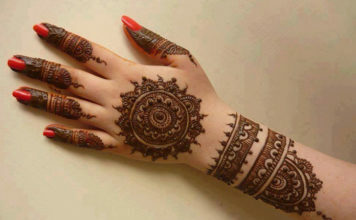 The black nail paint along with this beautiful tattoo gives a trendy look. Your tattoo artist can come up with many superb looking butterfly tattoo ideas. 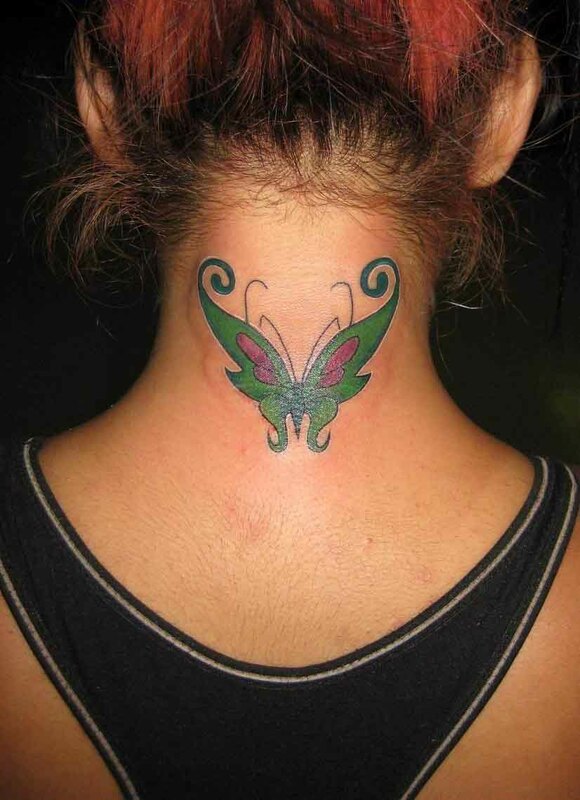 If you are planning to attend a party with an unusual look, try some fresh butterfly neck tattoos like this one! It has got a side view of a butterfly. 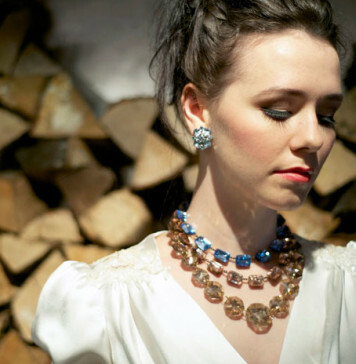 Few crystals have also been used for a temporary period so that you get a great glittering look. The small butterfly tattoos, as well as the bigger ones, look equally gorgeous provided you get them applied in a perfect way! 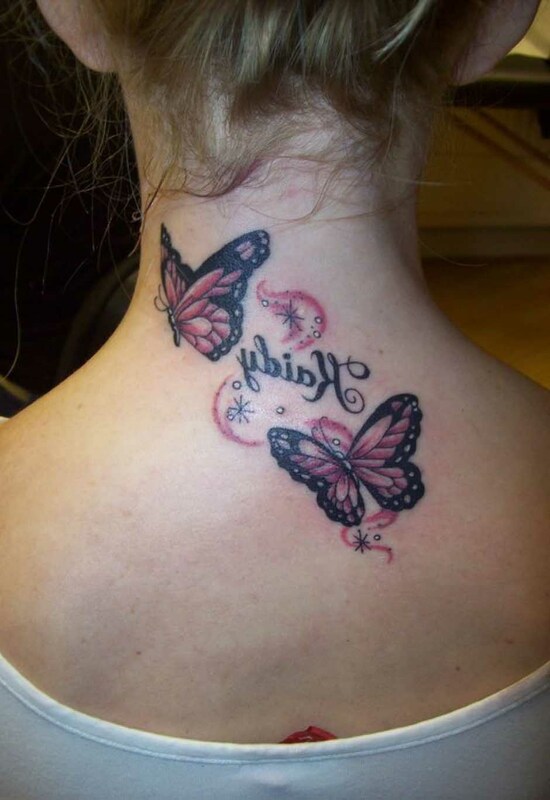 You can have butterfly tattoos on the back as well as in the front lower area of the neck. 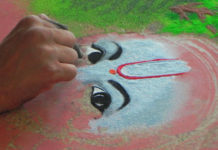 This image shows a colorful tattoo with a unique look of woman’s face. The vibrant colors add liveliness to your aura. Are you interested in simpler forms of butterfly back tattoos? 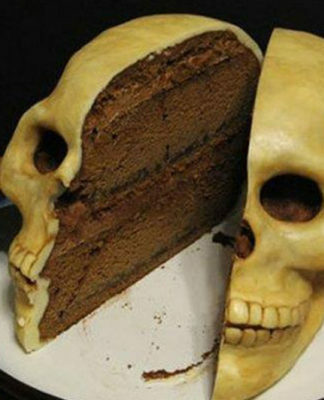 If so, try this delightful pattern. 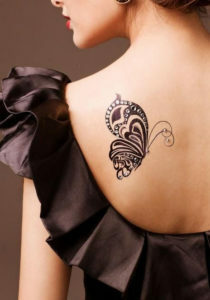 The drop shaped patterns along with two little hearts look quite captivating in this design of butterfly tattoos. If you prefer different colors, you can ask your artist for the same. 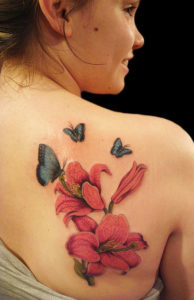 Undoubtedly, the butterfly tattoo designs look their best when combined with other natural elements, like flowers. The two pink flowers and three blue butterflies not only look great but also show your love for nature! 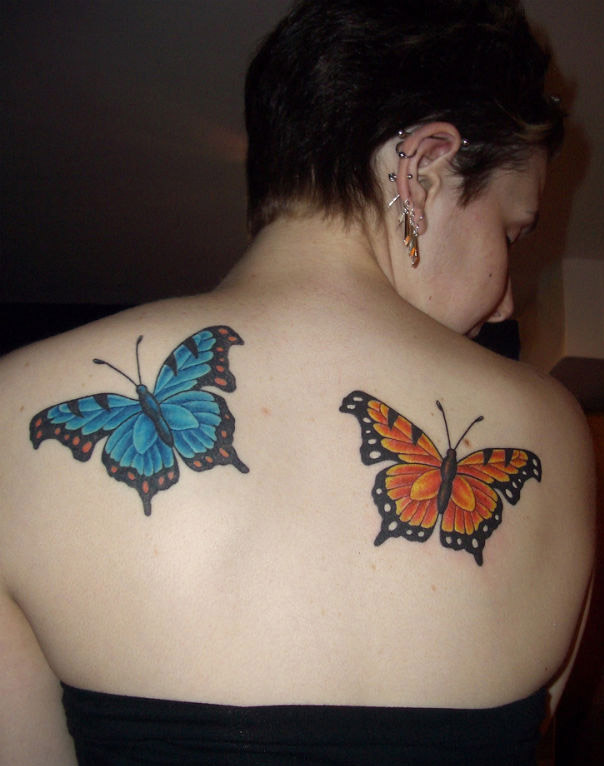 Butterfly tattoos can be applied in a variety of ways. Just take a look at this image where two bright butterflies in orange and blue colors have been made in a neat manner. Of course, you need to wear a glamorous off shoulder dress to flaunt your amazing tattoo! 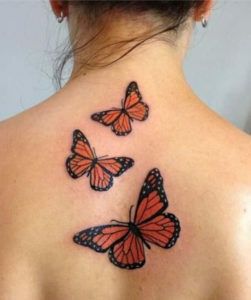 Certain butterfly tattoo designs are simple yet so engrossing! 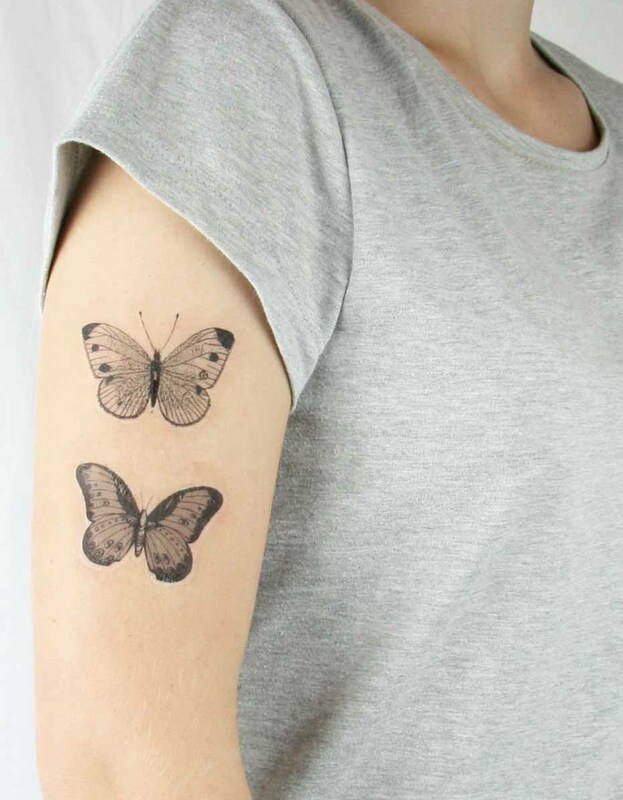 This symbol shows two butterflies on the arm. 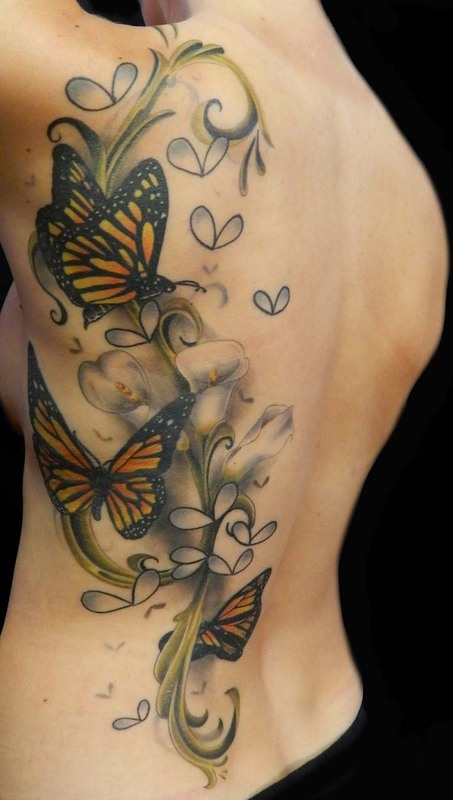 The artist of this tattoo deserves a big applause as he has made the butterflies look so natural! Isn’t it so? Also, such tattoos can be used as wonderful tattoo sleeve ideas. Get rich and glamorous looks with this unique symbol having a flowering vine and three butterflies in it! 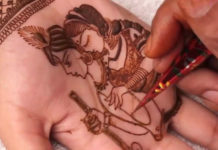 The tattoo is big in design and hence, requires a larger area of your body. Thus, it has been beautifully created in smooth design that begins at the back of the shoulder, stretches downwards and ends at the waist. 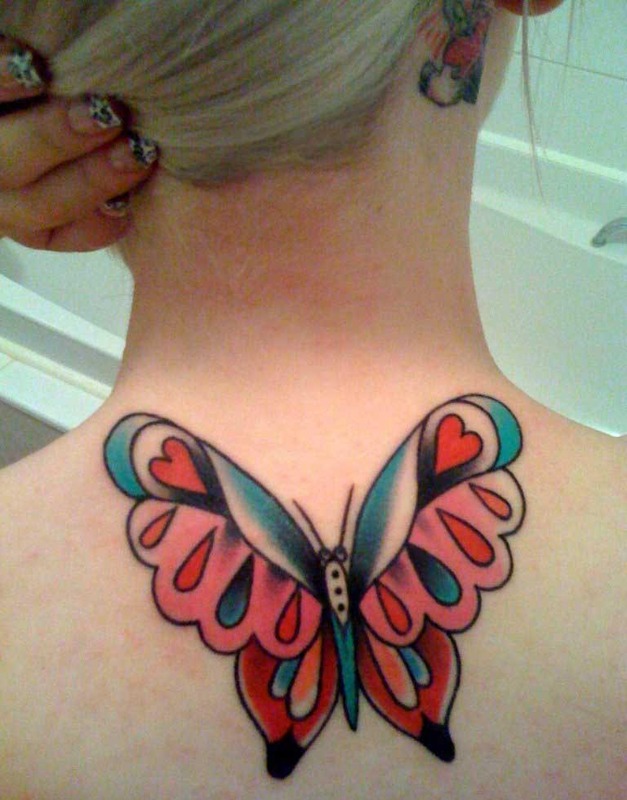 This tattoo of cute little butterfly lies perfectly on the back of the neck. 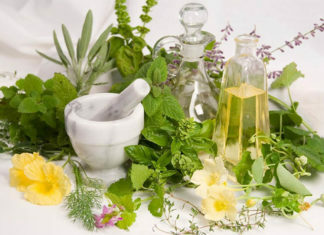 The bright green color of the butterfly makes it look refreshing and vibrant. With such tattoos, it is best to set your hair in a style that shows your back neck clearly. 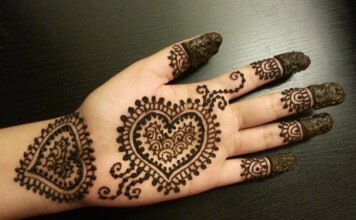 Therefore, you may try a top-notch bun, a side braid or a side ponytail with this tattoo. 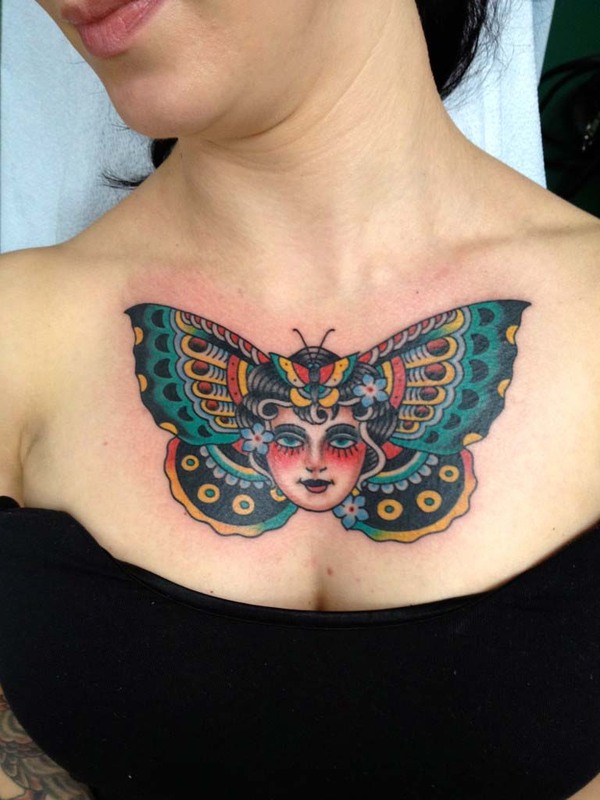 Small, medium and big sized butterflies can be observed clearly in this alluring tattoo. Get the butterflies images filled with the colors of your choice. 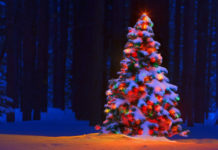 Choose bright colors like orange, green and red or go for pink, yellow or blue, if you love light shades. 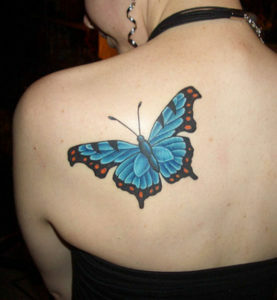 Butterfly tattoos are an excellent way to add style and glamor to your personality. 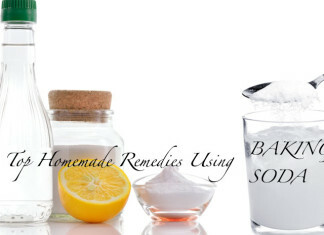 If you do not want to stick to a single tattoo for a long time, you can get tattoos that are easily washable. 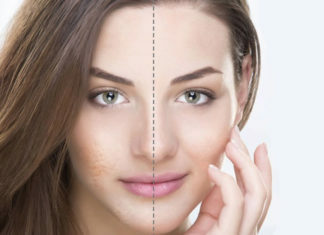 You will feel delighted to know that there are tattoos which can be applied for a temporary period too! 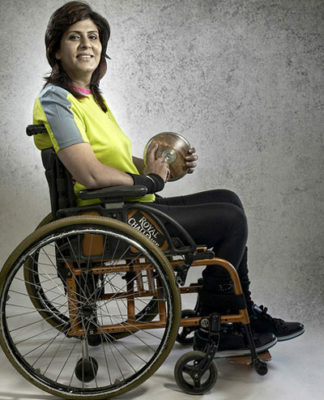 Keep looking great and keep trying new trends!